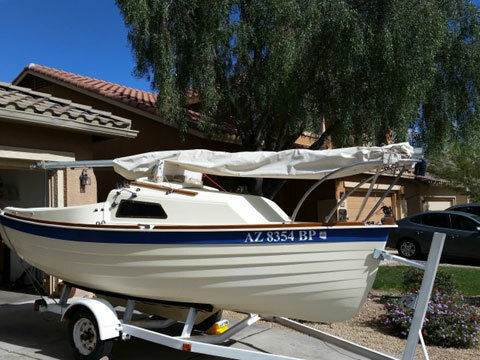 L.O.A 15' 0", L.W.L 13' 3", Beam 6' 2", Sail Area 140 sq. ft. Draft board up 15", board down 2' 1/2"
Weight 750 lbs, Ballast 275 lbs, centerboard weight 40 lbs. 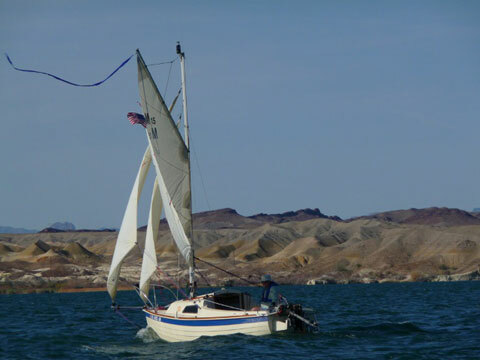 The gaff cutter was rated as the best cruising rig for small sailboat by Paul Garthside, John Welsford and Howard Rice in a Small Craft advisor article. They said that if you put a Gaff rig on a modern hull the performance will be supurb. This boat proves that statement. 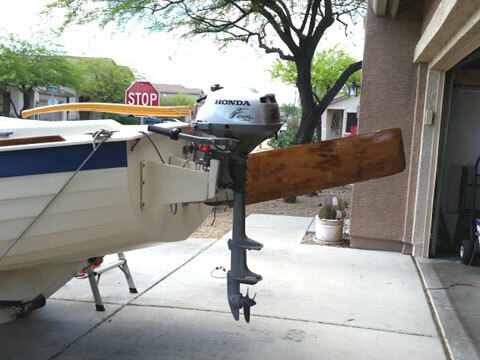 This boat sails extremely well and won the manufactures cup at the Lake Havasu pocket cruiser convention. 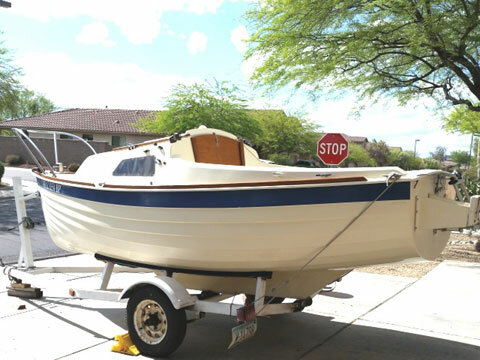 I have tested the boat in 35 mph winds on Lake Pleasant with great results - 4.3 knots beating into 3 ft waves in 35 mp winds recorded by the weather bouy. 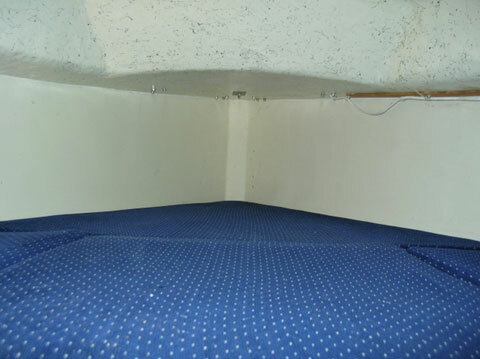 The boat does not have a compression post which makes for a very comfortable sleeping cabin. roller furling on staysail and jib. sail cover for storing/trailering - mainsail, boom and gaff.